Senile keratosis is essentially a form of two other types of keratosis namely, solar or actinic keratosis. However, there is a difference. The key difference is that the senile form of this skin condition specifically refers to the elderly. 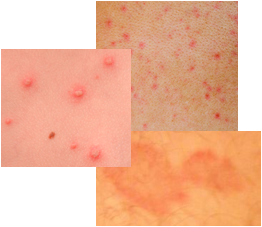 Generally, this form of keratoses appears in individuals who are older than 50. Senile keratoses symptoms are characterized by papules or small flat bumps rising slightly from the skin’s surface. These papules have sharp outlines and are generally gray or grayish black in color, but they have also been described in some cases as being red or pink as well. The growths on the skin are often named senile warts because they can be soft and wart or mole like in appearance. The affected skin may be dry with localized scaling of the skin. Fortunately, these kinds of skin growths are not painful. This keratosis skin problem is caused by exposure to sunlight over several years. Because of this, senile warts are frequently encountered on fair-skinned people and individuals who live in sunny climates and on body parts that are regularly exposed to the sun. Examples of the affected body parts include the back of hands, forearms, face, and neck. Treatment involving surgical removal, cryotherapy, or possibly topical treatment, is generally pursued for cosmetic reasons to improve the appearance of the skin, but may also be because the growth is causing discomfort due to friction with clothing, etc. To prevent this type of keratosis, it is very important to limit sun exposure or use sunscreen diligently when out in the sun. Taking these precautions will also benefit the skin in other ways such as the prevention of skin cancer and the prevention of the premature aging of skin, leading to many fine lines and wrinkles. There are indications that senile keratosis can be a precancerous skin condition. One statistic suggests that about twenty percent of individuals with this skin problem will develop squamous cell carcinoma. There is no way of knowing the accuracy of this statistic and so there is some uncertainty involved. Of course, a physician should inspect any skin growth than changes or is of concern to be sure it is not a cancerous growth. If you are uncertain about this type of growth or any other growth on the skin, then it is important to visit a physician without hesitation. This is especially true if you notice changes in the growth.